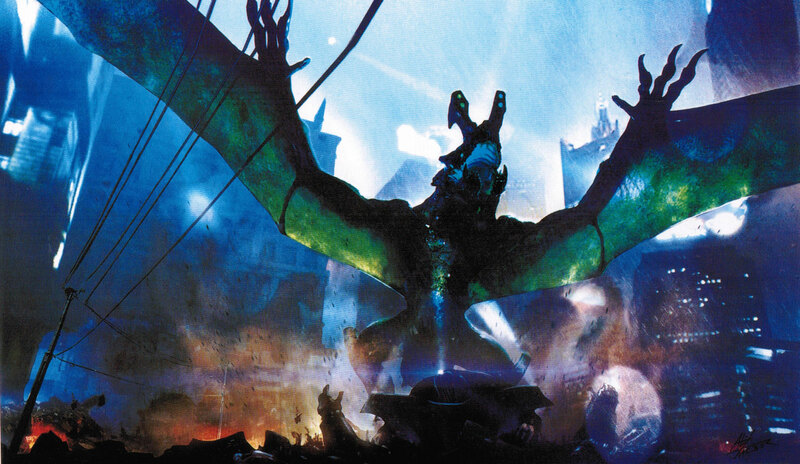 With At the Mountains of Madness cancelled for budgetary reasons by Universal, Del Toro ported most of the key staff to Pacific Rim — including concept artists Wayne Barlowe, TyRuben Ellingson, Francisco Ruiz Velasco, and Guy Davis. Other artists included Rob McCallum, Keith Thompson, Stephen Schirle, Doug Williams, Hugo Martin, Francisco Ruiz Velasco, Guy Davis, David Meng, Simon Lee, Oscar Chichoni, Raul Monge, Allen Williams, Carlos Salgado and Simon Webber. Concept art of the Anteverse by Oscar Chichoni. 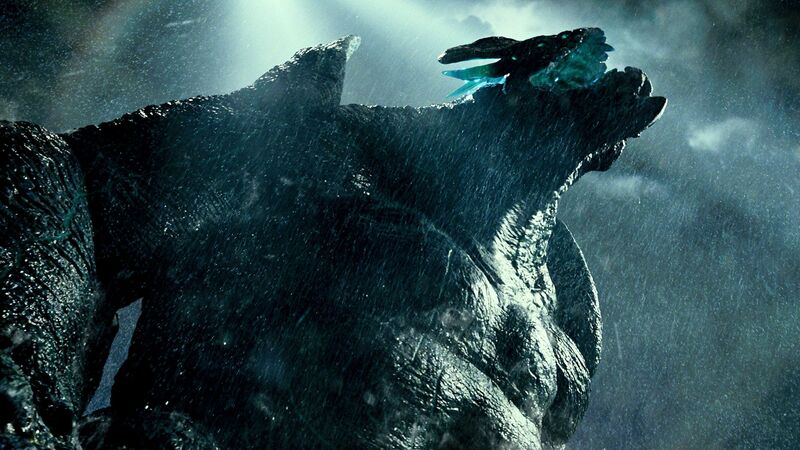 As conceived by del Toro, the monsters are “the most terrifying but majestic creatures you could ever imagine.” The film is the director’s love letter to the giant Monster genre, which he is very affectioned to. He said: “I adore monsters. I think they’re the greatest thing. If you really, really love monsters, it’s like when you love anybody else or anything else: you want the best for them. So you seek the best for your creature — from design, lighting, color, how they move, where they live, what happens to them. 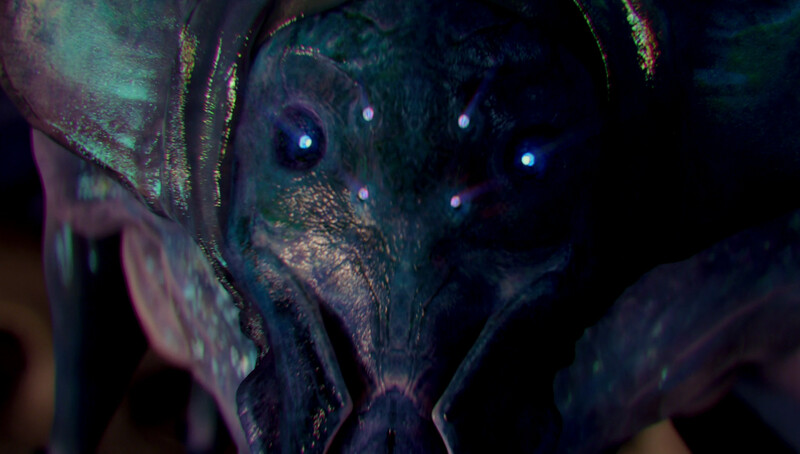 If you have to kill them, you kill them great.” The new military coins a system of classification for these alien entities — around 2020 in the actual chronology of the film. The generic term used to label the monsters is ‘kaiju’, a word derived from Japanese (怪獣) which literally translates to ‘mysterious monster’ or ‘strange beast’. Prior to it being ‘officially’ used for Pacific Rim, the word knew wide use on internet message boards when referring to Japanese movie monsters — due to ‘Kaiju eiga’ (怪獣映画) being the name of the genre in Japan. The Kaiju are bio-engineered weapons created by an alien race, labeled during pre-production as the Precursors. This civilization uses biomechanical technology to create by literally manufacturing the giant monsters, a process described by Beacham as a biological 3D-printing. The Precursors needed to express “alien madness” according to the director — something so otherworldly that simply looking into their eyes would be terrifying. The director wanted those to resemble Shark eyes: “people talk about [looking] into a shark’s eyes and it’s just this dark, soulless abyss. I think Guillermo wants a similar feeling when we look at one of these [aliens], into its face, for the first time. There’s just this kind of yawning madness that we just can’t comprehend, and aren’t meant to.” The head features a semi-translucent membrane that peels off to reveal the creatures’ eyes. Rendering of a bleeding Knifehead by Alex Jaeger. The Kaiju are also ‘plagued’ by parasites that live on the external layers of their skin. Practical construction of the creatures was assigned to Spectral Motion. The skin parasites, affectionately labeled as ‘Rollie-Pollies’ were designed by Mike Elizalde and Alex Palma. Inspiration for the design — and the name — came from isopods. Other crustaceans were also used as reference for texture and colour scheme. 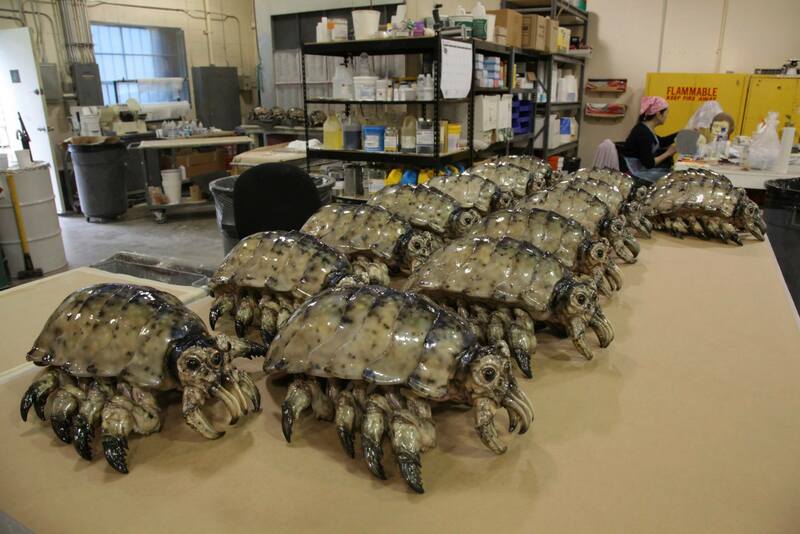 The parasites were built as full-size animatronics — sculpted by Joey Orosco and Mario Torres, and painted by Russ Lukich. The mechanics that allowed the arthropod-like movement were conceived and built by Mark Setrakian. 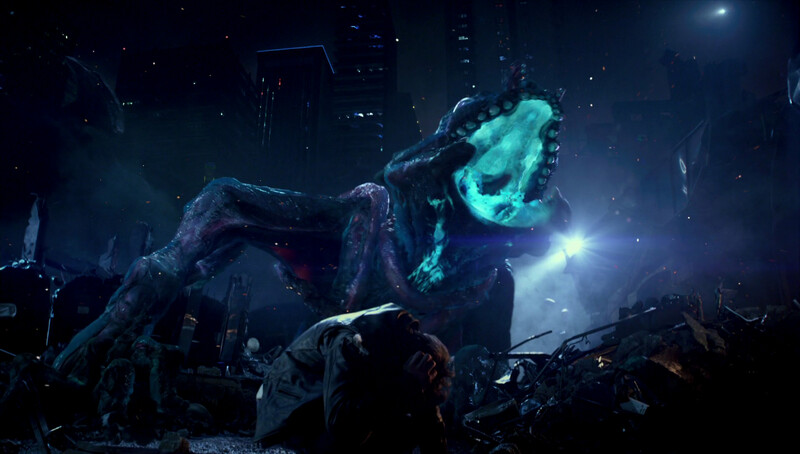 Digital versions of the parasites can be seen crawling on Leatherback and other kaiju’s skin during the film. Rollie-Pollies ready in the shop. 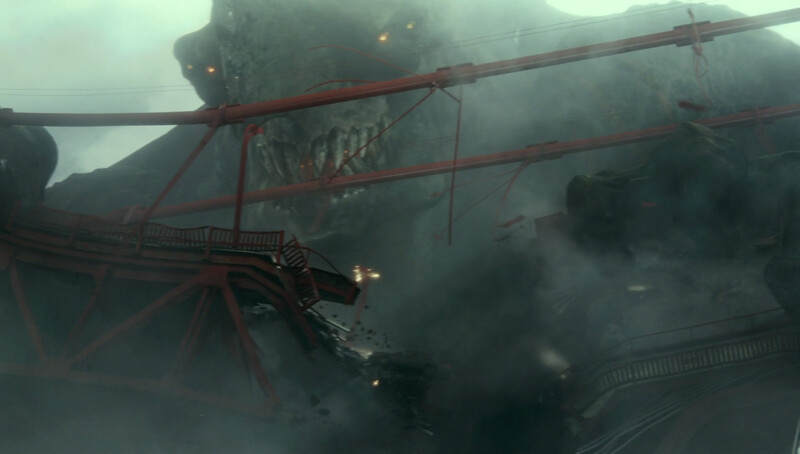 The creature attacks the Golden Gate Bridge — a landmark destruction that Hickel initially wanted to avoid. 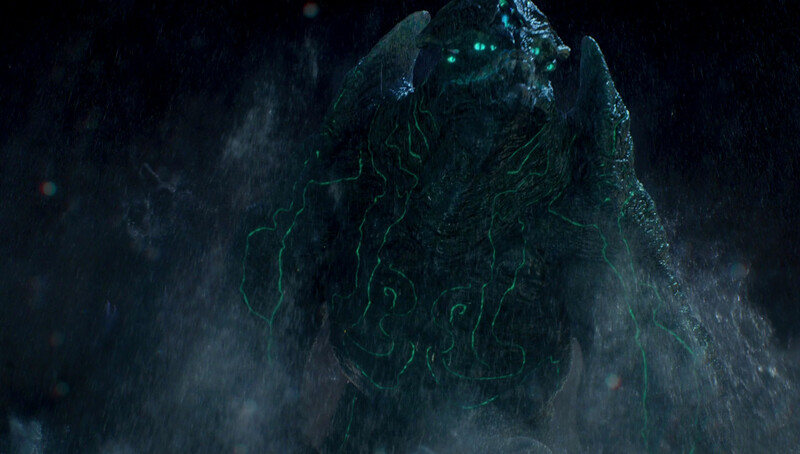 Ultimately, however, “it establishes Guillermo’s design imprint and what’s unique about his vision for this film: this big, protruding axe crests from the head, the colouring of the creature, and the bioluminescence. All those things are more unique and less expected, so it hopefully gives the audience both messages: yes, the film is going to have the thing they came to see, Godzilla-size monsters wreaking havoc, and yet it’s not going to be Godzilla; it’s going to be monsters they’ve never seen before, that look different than they expected.” The Axehead digital model was created starting from Knifehead’s, which was modified in order to accommodate the namesake Axe-shaped crest on the head, as well as different — more prominent — claws on the arms and other cosmetic differences. Karloff is a monster bearing a similarity to Boris Karloff (hence its name), the actor who portrayed the Frankenstein creature and the Mummy in Universal’s classic films. Guy Davis said that “[the nicknames] started with ‘Karloff’ (and that name actually stuck), but that was just because his head sketch reminded me of Boris Karloff.” The design, in fact, features a protruding forehead region (Frankenstein-like) and wrinkled lips (Mummy-like). The back combines features of crickets and jet engines. Karloff’s secondary mouth on its chest proved to be ‘vaguely obscene’ (due to its vaginal configuration) and thus the creature’s role was greatly deminished in the film; it is only briefly seen in the prologue. Certain designs were derived from early incarnations of other characters. 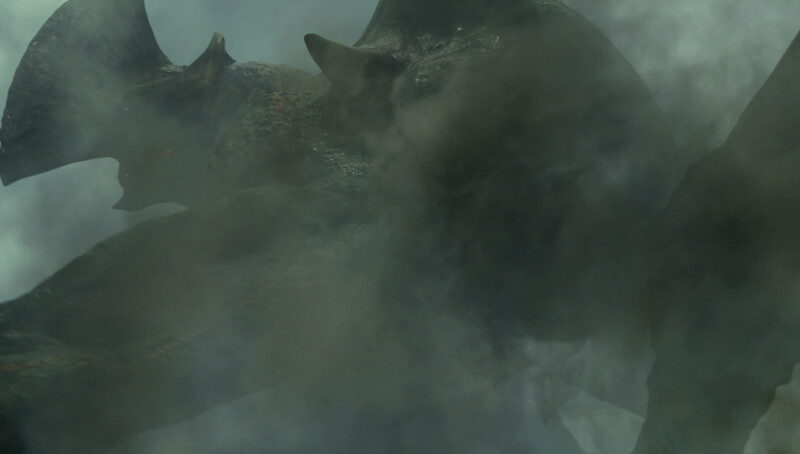 Hardship is a Kaiju briefly seen in the prologue, with a distinct protrusion growing from its lower jaw. 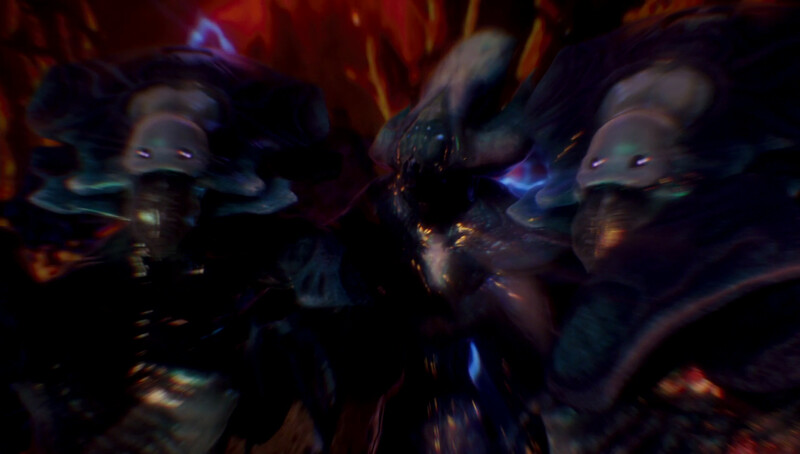 It is seen first roaring past the camera, and then fighting a Jaeger in a night-vision shot. 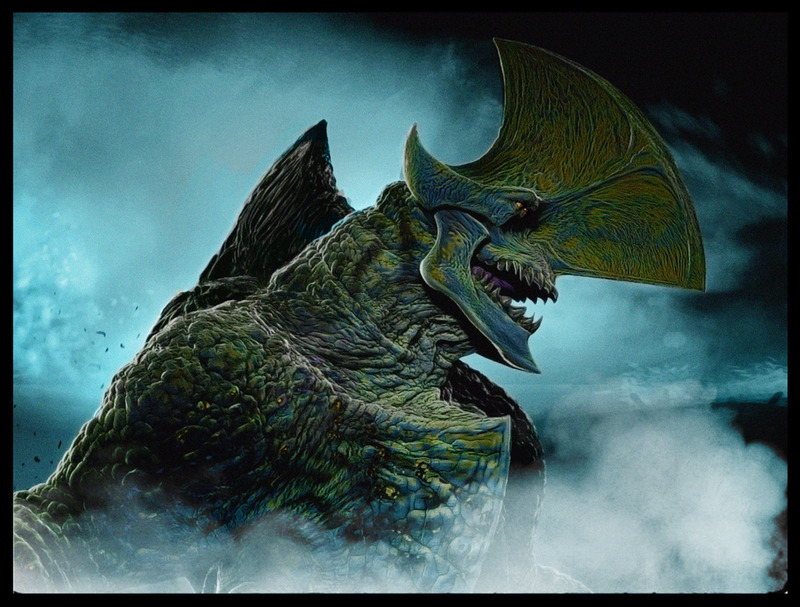 Designed by Simon Webber, it was originally conceived as the Monster which attacked Sydney and bursted through the anti-Kaiju wall with its enormous blade-like horn; eventually, however, the design developed independently and was nicknamed Bowser — before receiving its in-film name. Onibaba (whose name references the 1964 Japanese horror film) was described as basically an armoured tank, or a ‘charging monster’: “we wanted Onibaba to be a guy that would charge,” del Toro said. 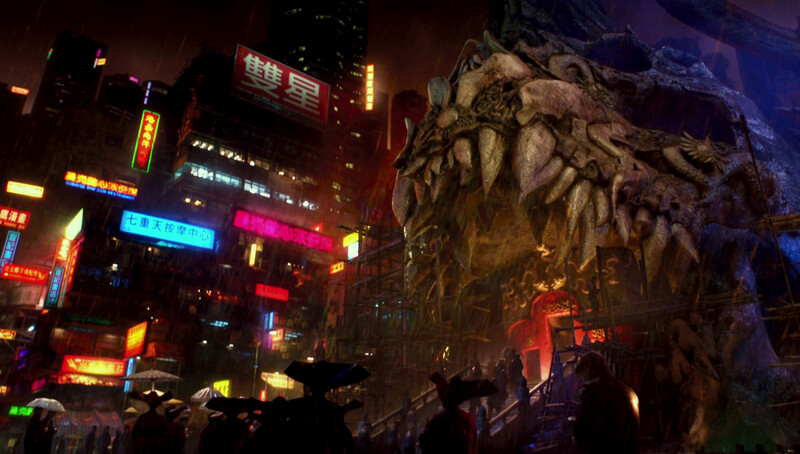 “The sequence is about narrow streets, so I wanted him to charge and destroy the buildings just by not stopping.” The Kaiju ultimately proved to be the most complex to animate, due to the number of moving parts and the supposed malevolent intelligence that had to be infused into its performance. Its mouth is composed of a complex system of shifting plates. Final Onibaba design by Francisco Ruiz Velasco. 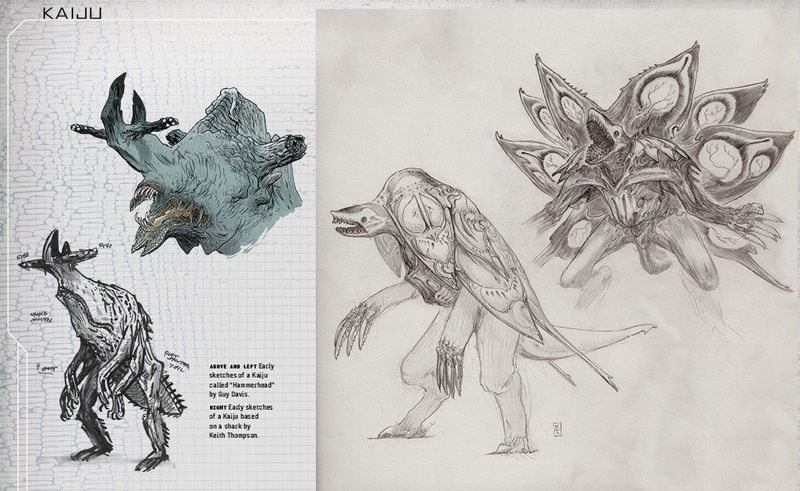 The first monster design to be approved during pre-production was Knifehead (Category 3), conceived by Wayne Barlowe. 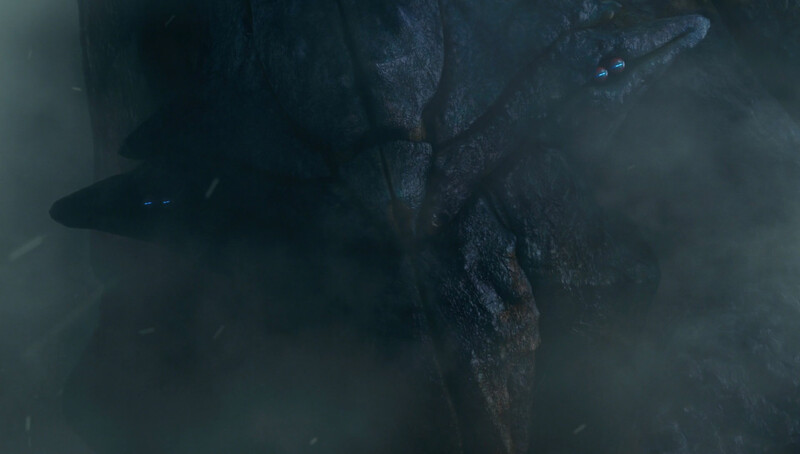 The creature is meant to evoke a giant shark, according to the director: “it’s like if you took a shark and you pulled its nose way out until its head became this very sharp, pointy, blade-like shape rather than the blunt triangle that a shark normally is.” The design for Knifehead ended up with an appearance reminiscent of Guiron, one of the foes Gamera fights in Gamera Vs. Guiron. Allegedly, however, it was unintentional. 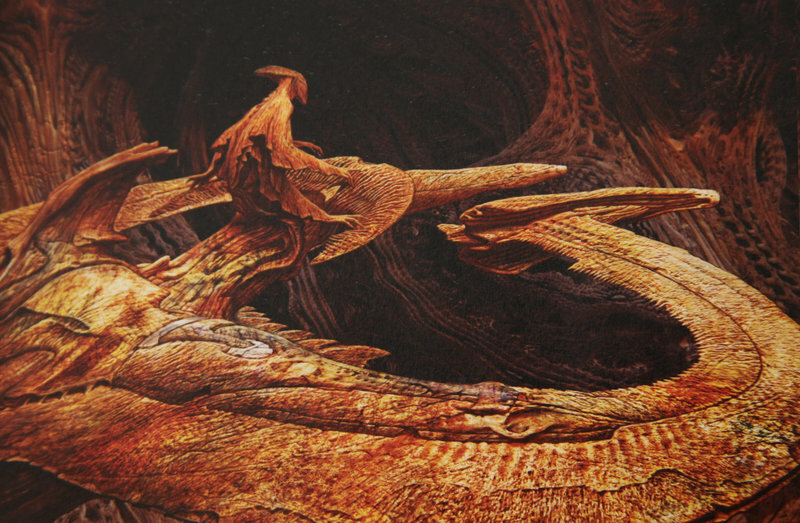 Del Toro explained to Ain’t It Cool: “What was funny is that Knifehead came from a silhouette Wayne Barlowe did, and he had never seen Guiron. I told him, “Go after a goblin shark.” He started doing that, and for him it is guiltless; he never knew Guiron. Then we started riffing on that, and we created Axehead and Bladehead.” Once finalized, in fact, the digital model was also used as the base for Axehead, Bladehead and Scunner — which bore key differences, but maintain the same basic anatomical structure. 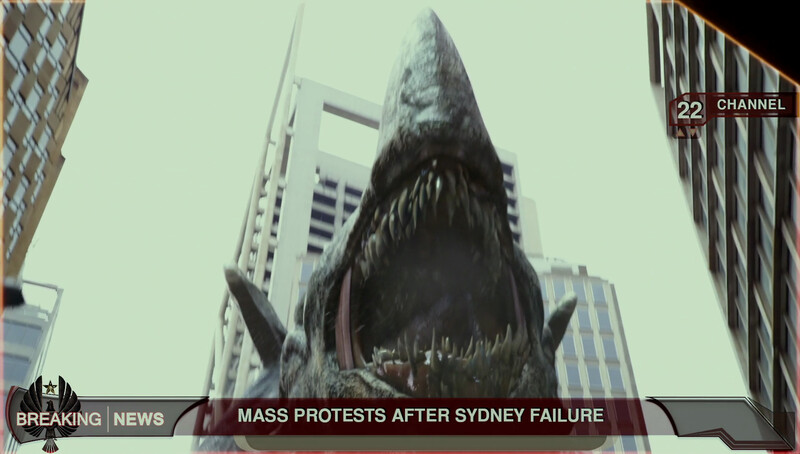 Mutavore (Category 4), known as Bladehead during production, is the first Monster to break the anti-Kaiju barrier in Sidney. Designed by Wayne Barlowe, “it has this massive, blade-shaped head it uses to just bludgeon its way through the protective wall around Sydney,” said Hickel. “And it kind of cuts through the wall as if it’s warm butter. It doesn’t actually look like it has a mouth until it opens it and starts roaring. It’s this weird little split line through the front of its blade head. It’s a very, very odd design, which I like a lot, actually. It’s one of my favourites.” The creature always retained certain traits, such as the shape of the head and the eyes on the lower jaw. Early iterations featured secondary mouths and limbs, eventually discarded for the final design. The digital model was, again, obtained starting from the Knifehead model. 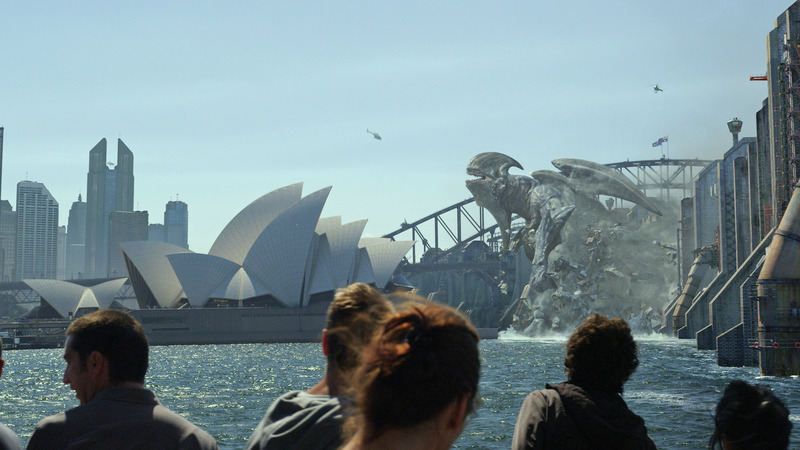 Two Monsters emerge from the breach and attack Hong Kong. Otachi (Category 4) is the name given to the flying creature, with a reptilian head and two blade-like crests. “We designed the face to be really, really evil,” del Toro said. 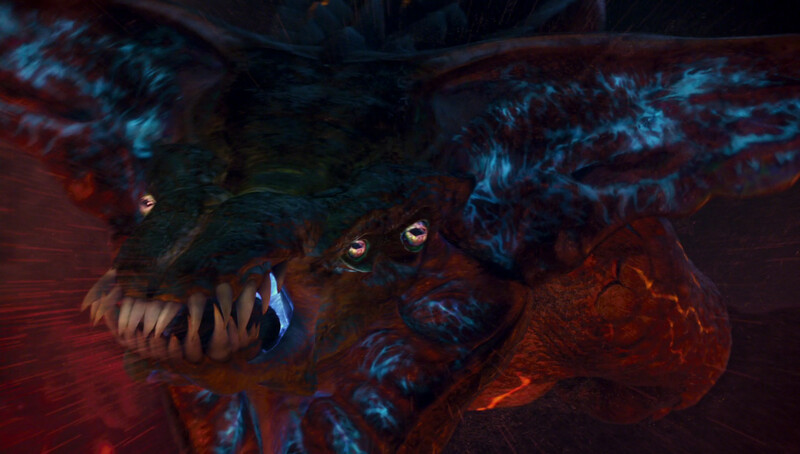 “It has a sort of evil intelligence to its eyes.” Otachi was mainly designed by Guy Davis, who based early sketches of the creature on a crawling bat. The protrusions on the creature’s head were inspired by the skull of a Brontotherium. Early iterations of the Monster featured jaw tendons, as well as multiple eyes on the sides of the head and a hammer-shaped tip of the tail. 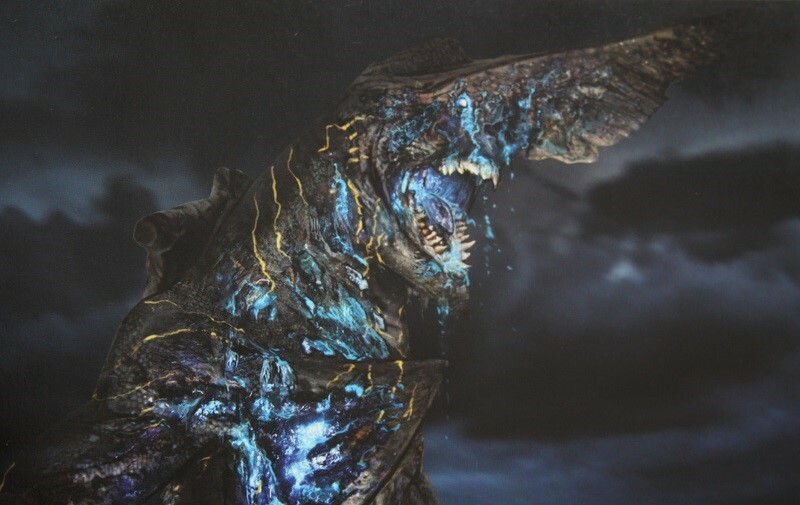 Otachi is the creature in the film with the most ‘surprises’ for the audience: its front limbs reveal to be wings, its neck can engorge to spit the creature’s signature acid attack, and the snake-like lower jaw splits in two. Another unexpected element is that Otachi’s tail can detach, move and fight by itself — a feature probably conceived by exaggerating the tail-detachment defense mechanism of lizards. The tail was originally part of the discarded Meathead design — Wayne Barlowe and TyRuben Ellingson had suggested the concept of a ‘fighting tail’ with legs of its own. 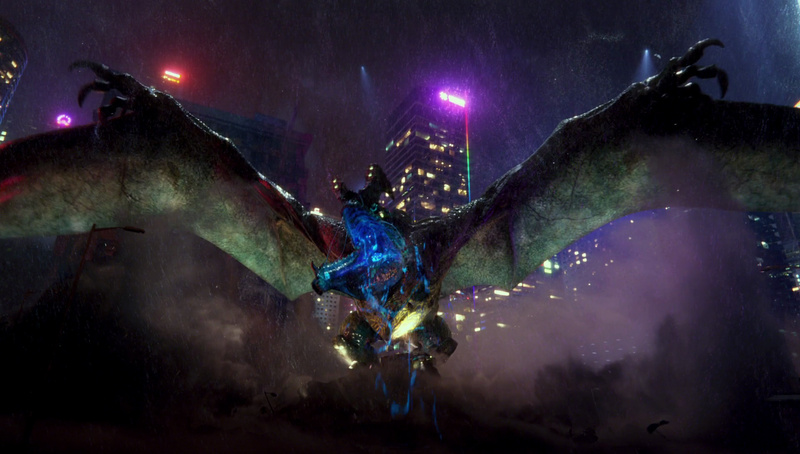 With Meathead ultimately not appearing in the film, its fighting tail was ‘inherited’ by Otachi, although its ability to detach and engage in combat on its own was never seen in the film. This was among Velasco’s final additions to the design, which also include the bioluminescent spots alongside the creature’s hide. 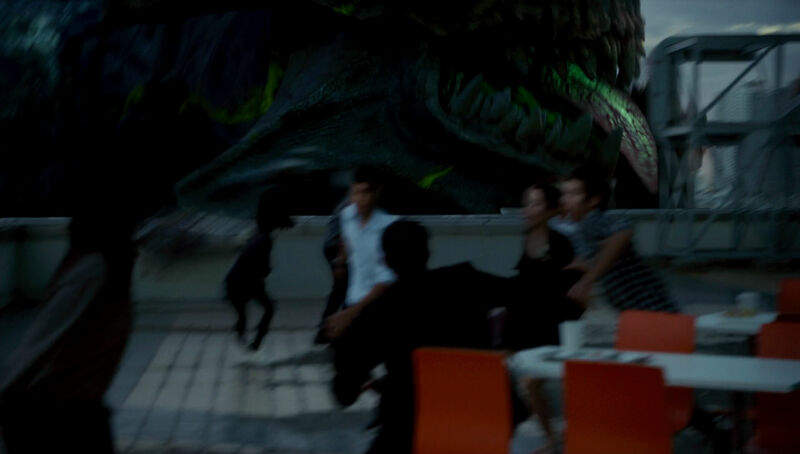 Leatherback (Category 4) is the gorilla-like Monster that attacks Hong Kong alongside Otachi, and the creature of the film del Toro relates to the most. “I really, really respond to him on a visceral level,” the director said. “He’s absolutely brutal but I find him kind of adorable.” Leatherback’s skin is armour-plated, and a specialized organ on its back produces a biological equivalent of an electromagnetic pulse (EMP). The twin crests on its head shift and move, revealing a writhing array of bioluminescent tentacles in the back of the head, which move more rapidly as the creature is stressed. 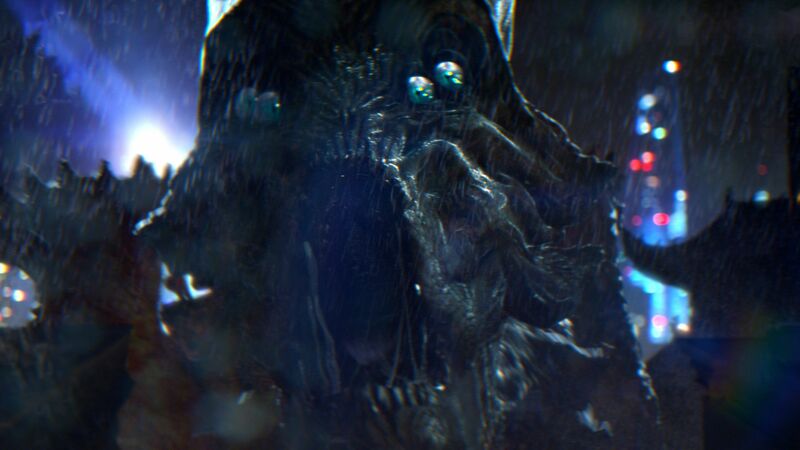 Leatherback was designed by David Meng, “one of the best designers of monsters in the world,” according to del Toro. 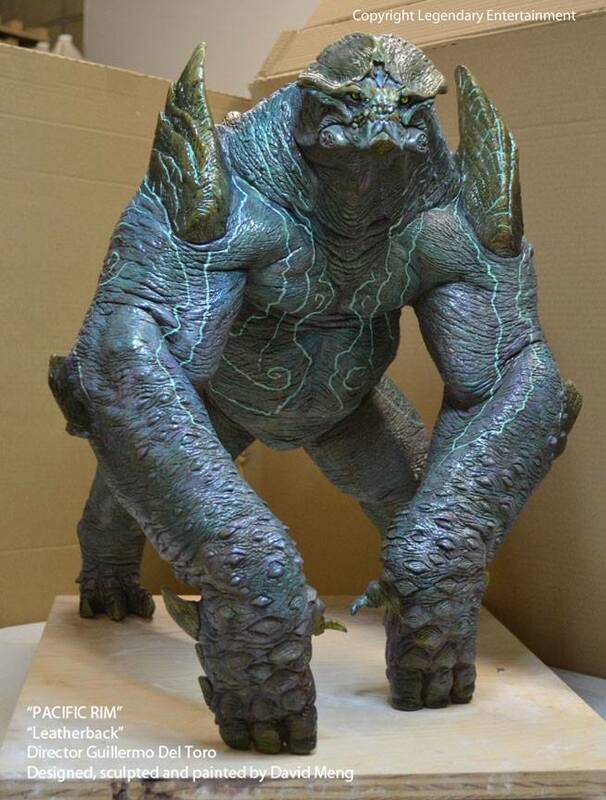 Meng also sculpted the maquette of the creature. Final painted maquette of Leatherback. 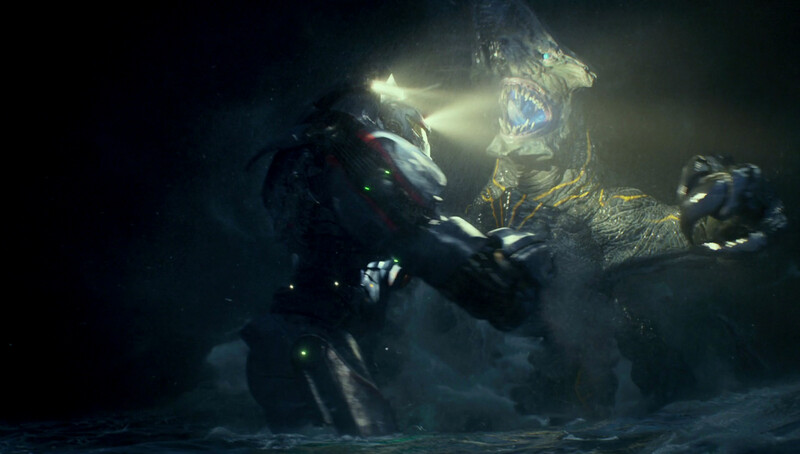 The climactic battle of Pacific Rim takes place in the Pacific Ocean when three Kaiju emerge together from the breach. Scunner (Category 4) was designed by Simon Webber and conceived as basically ‘a bull monster’. 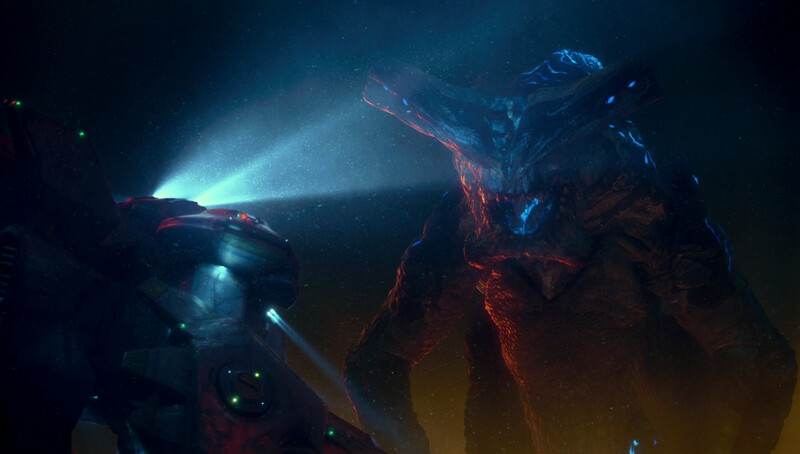 During the fight with Gipsy Danger there are shots reminiscent of a Rodeo, and Scunner’s behaviour was based on that of bulls: it rams its opponent and tries to use its horns as slashing and perforating weapons. The basic body archetype of the monster is the same as that of Axehead and Knifehead, but sporting differently textured shoulders. In addition, the main arms feature three mole-like claws. Raiju (Category 4) is the armoured creature with the tripartite head armour, which splits open to reveal the Monster’s real foal-like head. Mainly inspired from reptiles (iguanas most prominently), it was conceived to be an aquatic character. “His feet were sculpted bent,” del Toro said, “so it is not meant to walk [on two legs]. I always told [the designers] to think of the body in horizontal, so it could move like a giant iguana.” Raiju, whose other nickname was ‘Croc’, was designed by Francisco Ruiz Velasco — who gave the monster the appearance of a crocodile combined with the armored plates of a pangolin. 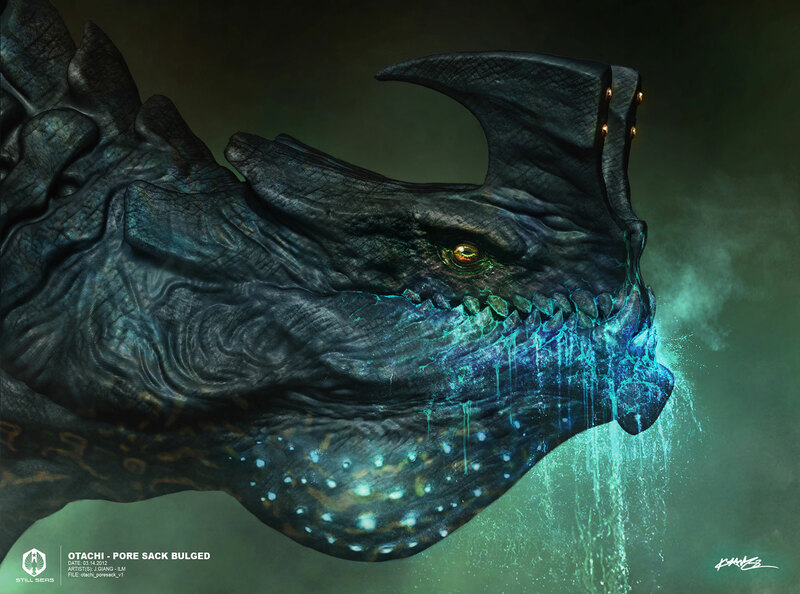 Concept art of Slattern swimming by Guy Davis. 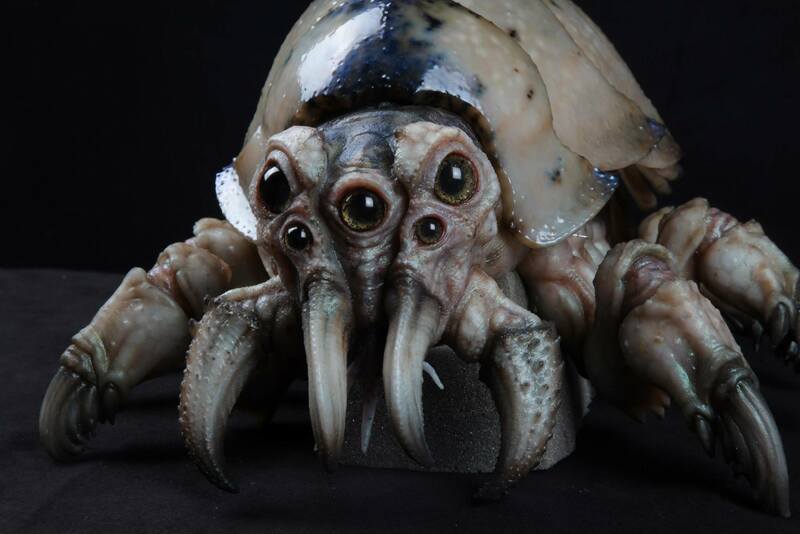 Final painted maquette of Slattern. The monster’s main weapon is the group of tendril-like tails. The animators were instructed to base the movements on kung-fu masters using magical canes. 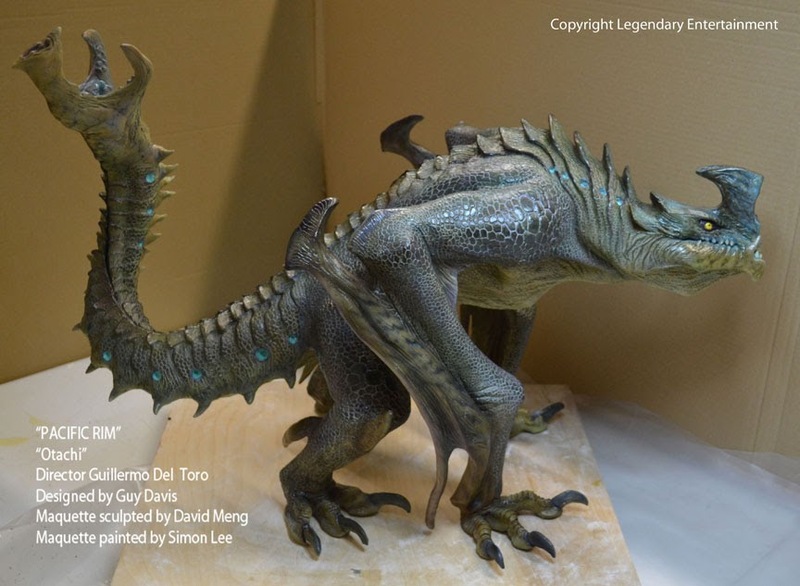 Hal Hickel commented: “[del Toro] wanted a similar sort of feeling for the way Slattern swirls his tails around in the water in a circular way. You don’t quite know what it’s doing with them, and then suddenly they can just splash out and strike.” The final design was given crocodile-esque scales, as well as a crocodilian color scheme, and a peculiar, ram-like protrusion on its chest — added by Barlowe — which can be used as a close-range weapon, although it is never used to effect in the film. For more pictures of the Kaijus, visit the Monster Gallery. Posted on 11/07/2013, in Movie Monsters and tagged David Meng, Guillermo del Toro, Pacific Rim, TyRuben Ellingson, Wayne Barlowe. Bookmark the permalink. 19 Comments. I was, and still am very skeptical about this movie. The trailers just look like all action and no substance. Even if that is the case, a good creature design is a good creature design. I’ll be checking this out when I have the time. Great article and shows the labor the effects team went through to realize these creatures. Maybe its success will allow Mountains to be made sometime soon. Have to say It is a great honor to have your comment around here, in this blog. Love your work on the film! 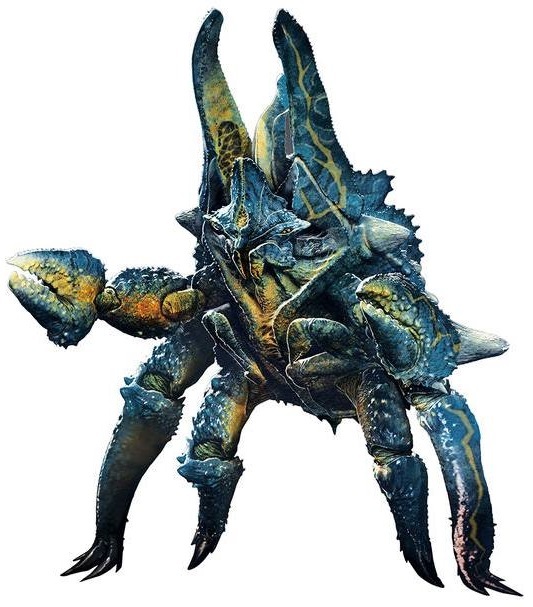 And yes, Scunner was great — I personally liked him more than Raiju and Slattern. Love the jaw and how the horns grow out of the head. Thanks ! It’s a great blog you have here ! Thank you very much for the kind words! And yes, we definitely should get a proper sequel to the film. Complimenti a Simon Webber,ai suoi colleghi e ai ragazzi della ILM per averci regalato queste creature,tra le più accattivanti viste al cinema negli ultimi anni. I miei preferiti sono Trespasser (che avrei visto più adatto come “boss finale”),Karloff e Bladehead. 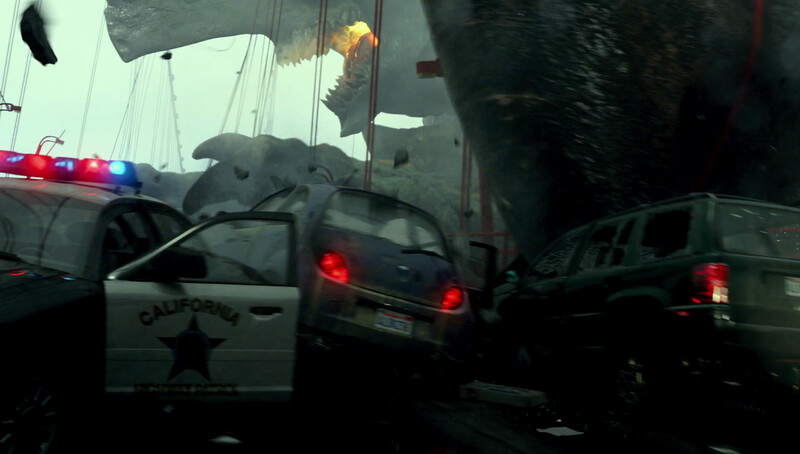 Estremamente interessanti anche i creatori dei Kaiju,se mai ci sarà un seguito di Pacific Rim spero vivamente in un tour nell’Anteverse……. Let’s hope we get to do a sequel….. 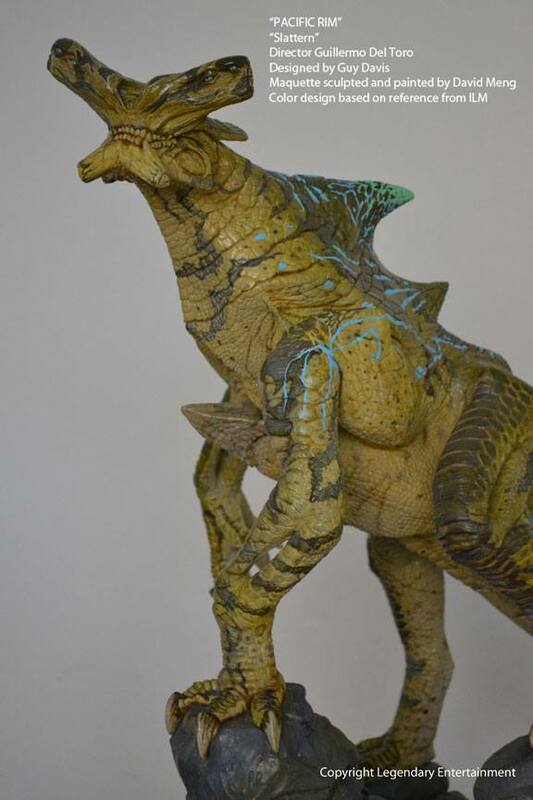 Interesting that the baby Kaiju has the same features of otachi and leatherback (the big plates on the back of the head). Maybe Leatherback was the father? Maybe the two had some fun on the way to Hong Kong. Great post! A question – is there a name for the kaiju tattooed on Newt’s right arm? 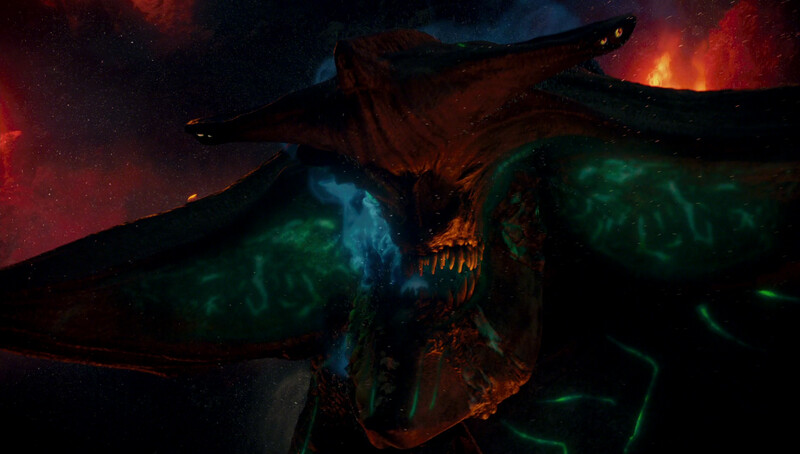 From the claws, I thought it might be Raiju, but no one had seen that kaiju at this point in the movie. I’ve seen no official nickname yet, sorry. I’ll let you know if I find it.